My college Yannick already wrote very good article about how to configure Java Object Cache in clustered environment you can find HERE. There are two things on top of that, I would like to share regarding the Java Object Cache: which managed server needs JOC and the second one is how to verify if JOC is running. …you will see there all managed servers targeting this application. Those are the servers for which you have to configure JOC. By default the wsp-pm does not runs on all those servers but only on the utilities, spaces and custom portal. If you want to secure web services from other custom application or existing web services like for example from UCM, you have to target this application to the according managed server which runs the application. After that you would need to extend your JOC configuration to cover this server as well. Next important step is how to validate that the JOC runs? This message appears only if the wsm-pm application targets the managed server into which log file you look. If you want to learn more about the JOC how it works or how to monitor it, follow this link HERE. 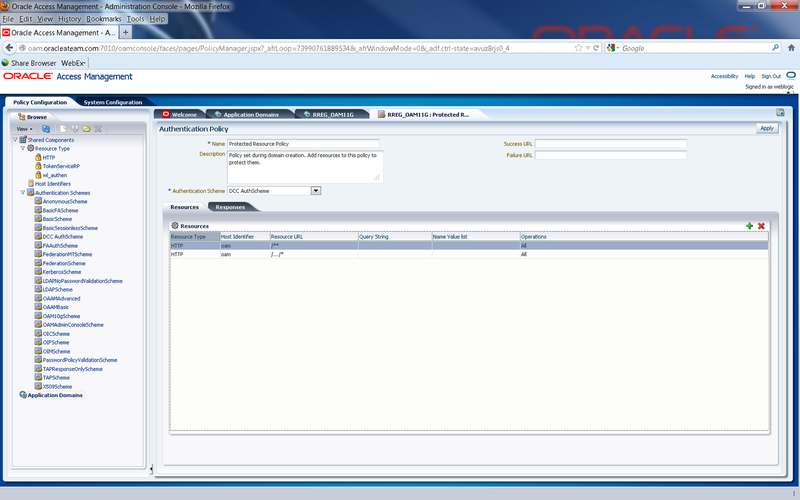 Detached Credential Collector (DCC) has been introduced in OAM 11GR2 release. And the documentation, http://docs.oracle.com/cd/E27559_01/admin.1112/e27239/register.htm#BABEGDFA, explains in detail about how to deploy it in various architecture scenarios. In addition to the documentation, this blog post will help clarify the configuration steps. The following step presumes your deployment uses Open mode communication. 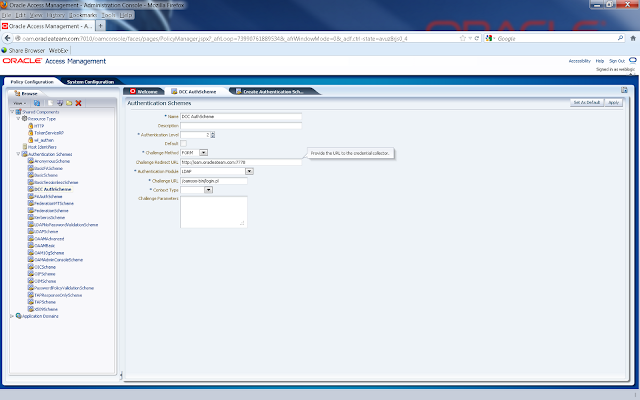 It also assumes that a webgate 11G is registered with the OAM Server. Check the box beside Allow Credential Collector Operations. Ensure that the path name of the perl executable as mentioned in the perl scripts is correct. For example, if the Webgate is installed $MW_HOME/Oracle_OAMWebGate1, the perl scripts for DCC-based login are located in the following path: $MW_HOME/Oracle_OAMWebGate1/webgate/ohs/oamsso-bin. Or alter the first line of the scripts so that they points to the correct location for perl, that is, replace the line #!/usr/local/bin/perl by #!/usr/bin/perl. Go to the Authentication Policy and make sure that you choose the “DCC AuthScheme” as the authentication scheme for the Protected Resource Policy. The above URL shows that you are directed to the Detached Credential Collector. 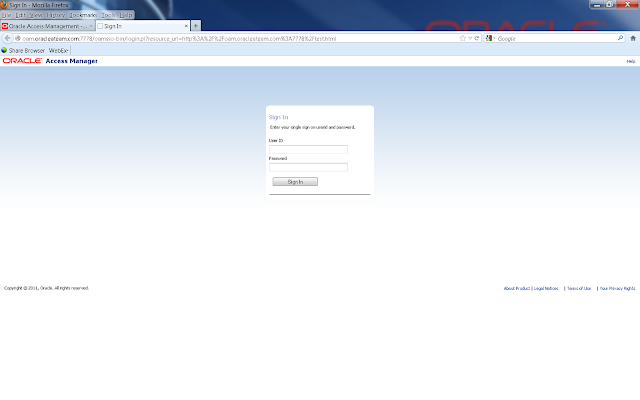 Now if you enter the credential correctly, you should be able to access the test.html page. 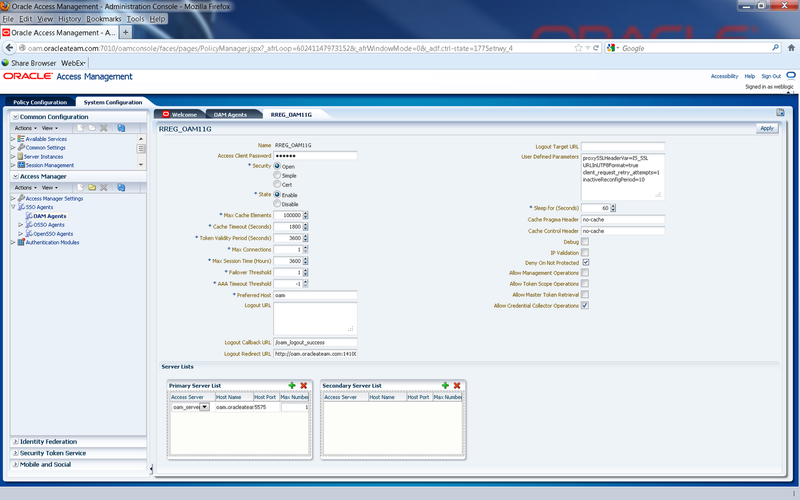 With WebCenter Content 11g, the Inbound Refinery handles image conversions with a built-in copy of the Oracle Outside In technology. This provides a nice basic way of doing image conversions without any extra installation or configuration steps. But in UCM 10g, there was no built-in conversion offered, so image converters (such as Image Alchemy or ImageMagick) were always necessary. While the built-in converter can do some basic conversion functions such as manipulating sizes and formats, to do more advanced changes you still might need a 3rd party product such as Adobe Photoshop, Helios Image Server, or NConvert. And to integrate to those 3rd party converters, you need extra components that is not installed directly with WebCenter Content.